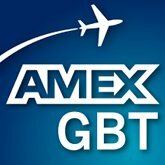 American Express Global Business Travel (GBT) released its 2018 Business Travel Forecast, predicting that global demand for air travel will expand in the coming year, with hotel performance improving moderately and average daily car rental rates expected to increase slightly. Other points made in the report include: airlines in North America are re-focusing on secondary destinations because of decreased demand and overcapacity on international routes; hotel performance in North America will largely depend on the political climate and its impact on foreign travelers; and after years of flat or negative growth, rental car rates should rise as companies improve their fleet management. David Reimer, general manager and senior vice president, North America, said these developments will allow travel managers to focus on the traveler experience rather than cost in 2018.